Is Sarah Geronimo having a quarterlife crisis? In an interview aired last July 13 on Showbiz Inside Report, The Voice of the Philippines coach is openly asking questions about where life will take her and reconsidering the choices she has made in her career. 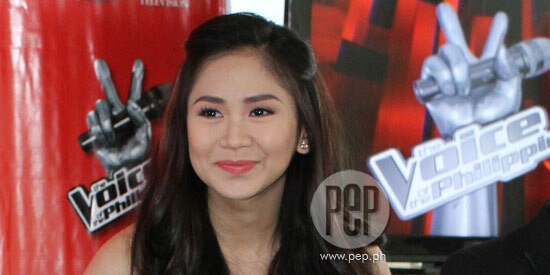 The Popstar Princess will be celebrating her 25th birthday this July 25. During her career spanning a decade, Sarah is an accomplished singer whose albums have earned Gold and Platinum Record Awards and she has performed in soldout concerts aside from receiving accolades from international and local award-giving bodies. As an actress, she has received the title of Box-Office Queen and was more recently named as Princess of Philippine Movies. Her fervent wish for her upcoming birthday is to grow in all aspects of her life, career and love. The singer-actress admits that this growth also covers her love life, which has been been colorful, to say the least. She was also asked about the so-called “feud” between her and fellow The Voice PH coach, Lea Salonga. While doing the blind auditions for ABS-CBN’s reality singing competition, there have been instances when contenders would pick Lea over Sarah.